CellectCell, a company spawned in labs at the Petit Institute for Bioengineering and Bioscience, is moving steadily toward commercial viability. The company is the brainchild of co-founders Andrés García and Todd McDevitt, who have deep roots in the Petit Institute and the Georgia Institute of Technology. García, the Rae S. and Frank H. Neely Chair and Regents’ Professor in the Woodruff School of Mechanical Engineering, is a longtime faculty researcher at the Petit Institute. McDevitt, former Petit Institute researcher and director of the Stem Cell Engineering Center at Georgia Tech, is now a senior investigator at the Gladstone Institutes and professor in the Department of Bioengineering & Therapeutic Sciences at the University of California-San Francisco. The company is built on technology and methods developed by García, McDevitt and fellow researchers at Georgia Tech: Ankur Singh and Shalu Suri (researchers at Cornell University, and former postdoctoral fellows at Georgia Tech) and Hang Lu (Petit Institute faculty researcher, professor in the School of Chemical and Biomolecular Engineering). In December 2014, Atlanta-based Medtown Ventures, LLC (a firm that specializes in growing promising life science companies) entered into an exclusive license agreement with the Georgia Tech Research Corporation to form CellectCell with co-founders García and McDevitt to commercialize their innovative adhesive-signature based stem cell selection and isolation technology. 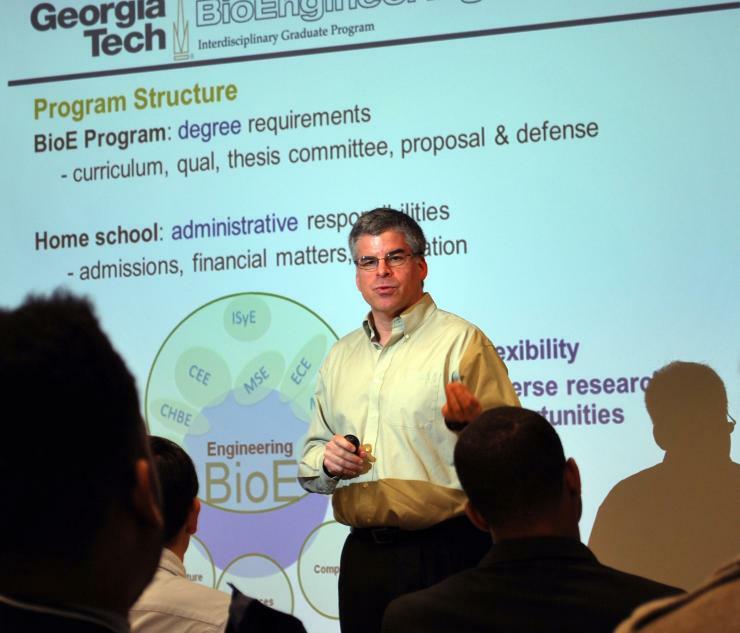 Last fall, the Georgia Research Alliance (through the GRA Ventures Program) stepped up with critical Phase II funding to support CellectCell’s efforts toward developing a disposable cell isolation cassette for academic and commercial research. Marshall, a Medtown director, says the collaboration with GRA will help transform the technology into products that allow researchers and manufacturing companies to select for specific cell types with higher sensitivity and specificity than what is currently available. Because the technology is based on the inherent properties of cells, and is label-free, the process does not adversely affect cell viability or phenotype. “The technology exploits differences in the adhesive force of different cell types to purify or isolate specific populations from heterogeneous or mixed cultures,” says García, who has used the technology to purify stem cells and differentiated cells, as well different cancer cell types from biopsied tumors. “We expect that many researchers will find this technology very useful and effective in isolating target cell populations faster, cheaper, and better than current methods,” he adds. In order to make that happen, it takes a team. Much like the multidisciplinary researchers at the Petit Institute approach common problems from different, interrelated angles, it takes a number of different pieces and moving parts to spin a company out of lab discovery. Basically, CellectCell couldn’t exist without the contribution of something like Medtown. For the past year and a half, Marshall has been running point for CellectCell, as its appointed executive leader and at the moment the only full-time employee. Another primary role for Marshall, of course, is fundraising. The GRA support couldn’t have come at a better time, she says. And with functional prototypes that work now, and beta units on the market soon, CellectCell will have better opportunities to raise money, she says. With pilot production underway, commercialization is right around the corner, and the goal is to have the MicroCassette™ widely available in the first half of 2017.